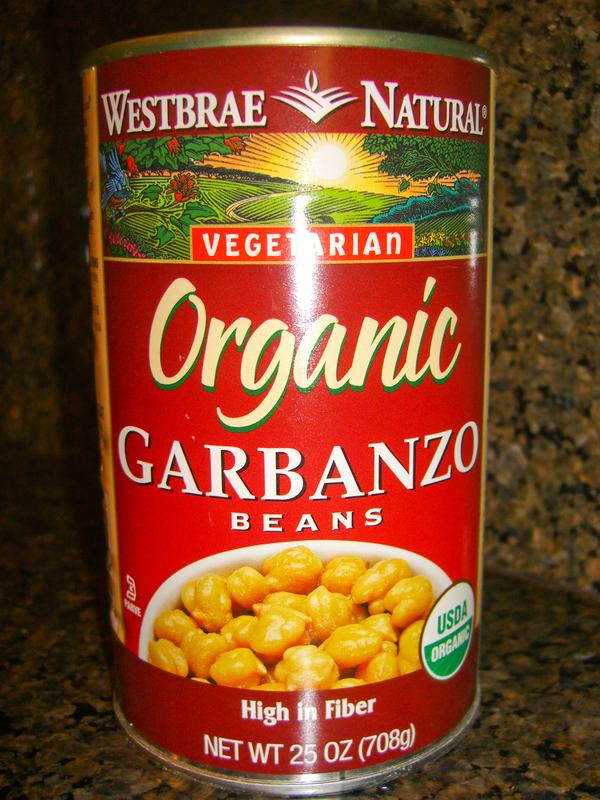 I know all of us are always looking for healthy snack alternatives that will hit the spot and satisfy. This recipe does the trick. Packed with protein and fiber, chickpeas are an amazing addition to your daily fare. 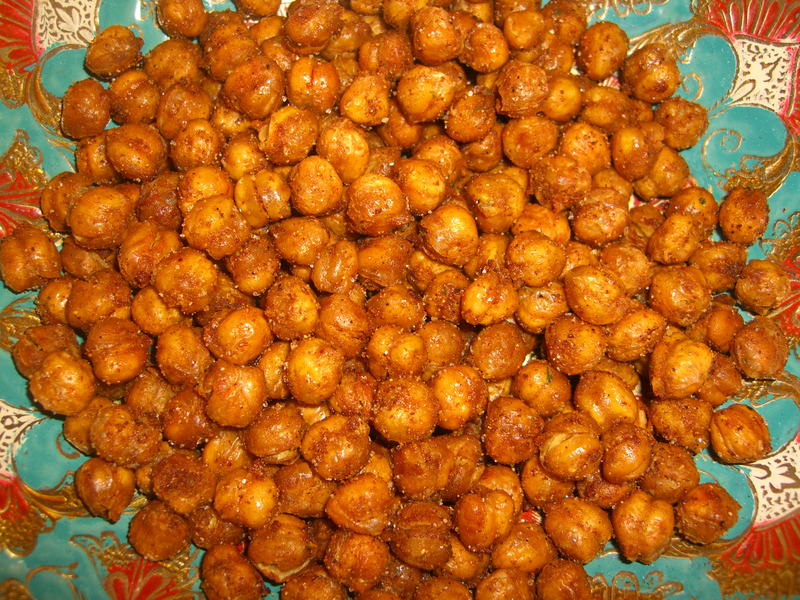 I made some of these BAKED SPICED CHICKPEAS this afternoon so it would be ready for the kids to nosh on when they got home from school. WARNING – These are addicting!!! …and may be too spicy for wee ones (just reduce the cayenne). 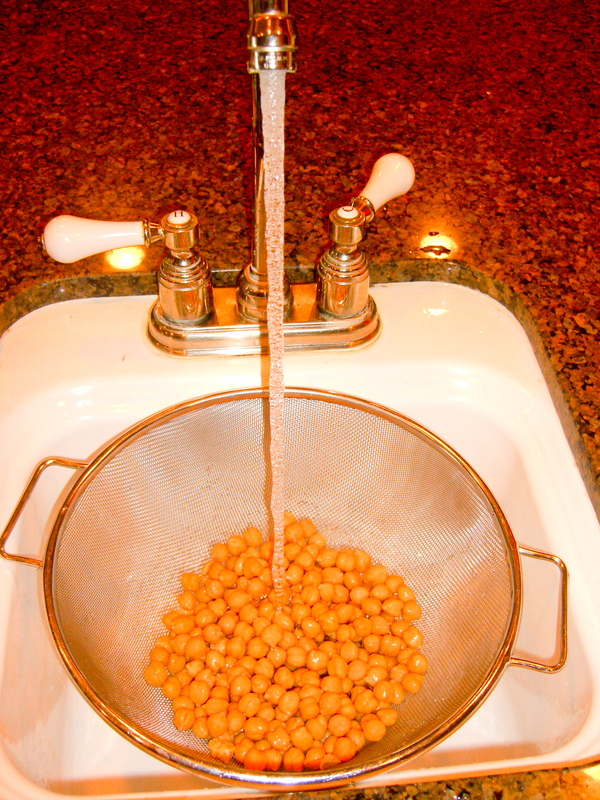 Wash and drain the chickpeas. 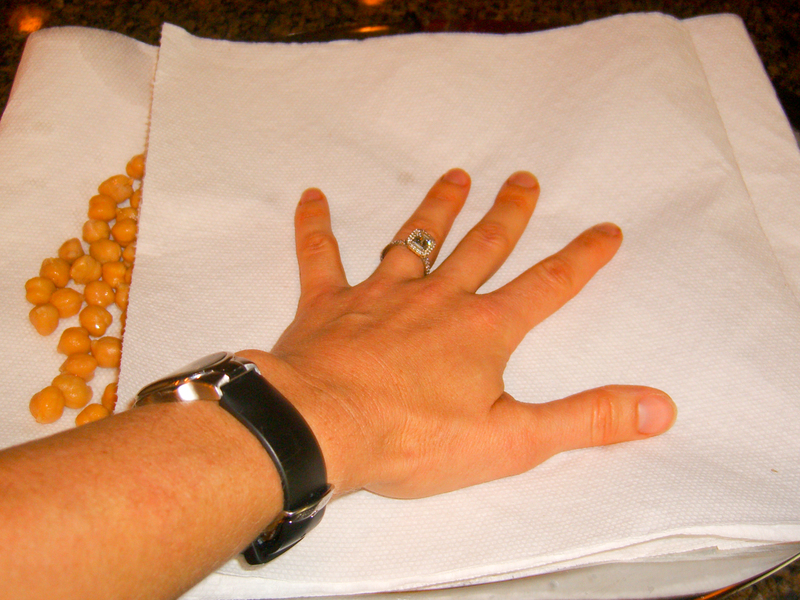 Place the clean chickpeas on 2 layers of paper towels and gently rub the tops of them with another layer of paper towels. You want to get the chickpeas as dry as possible. 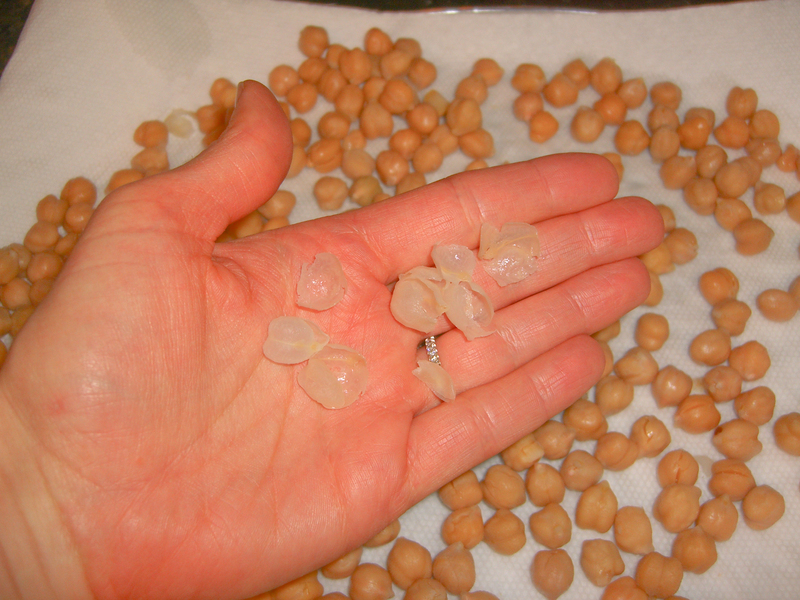 Notice that some of the chickpea’s skins will come loose. Remove the skins. While the chickpeas are air drying further, make the spice mix. 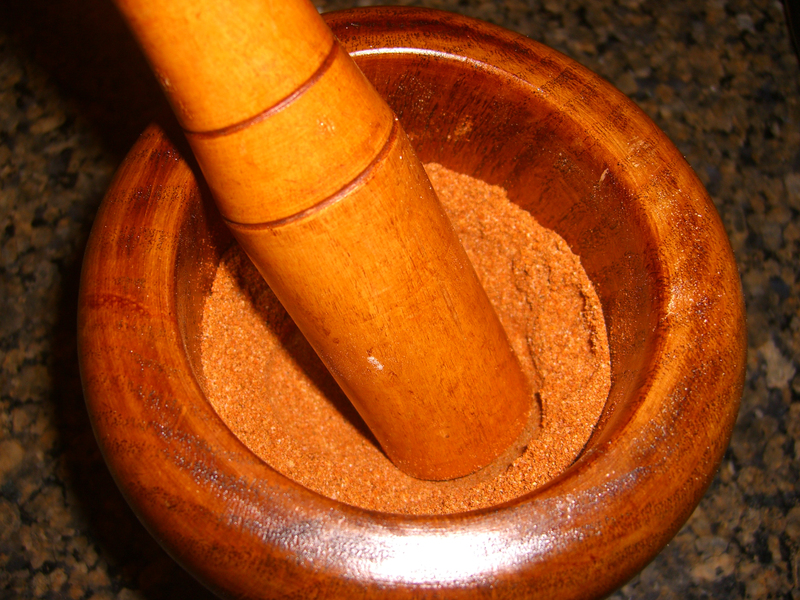 Pour all of the spices into a bowl and mix well (I used a mortar and pestle that I bought at Cost Plus World Market so I could grind the spices together). This recipe will not use all of the mix, so reserve the excess for later. 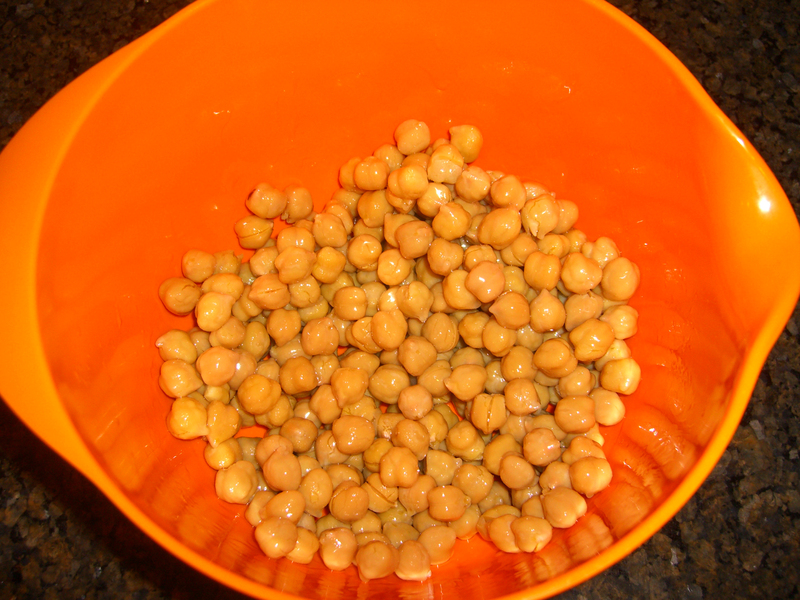 Place the clean and dry chickpeas in a bowl and coat them with the oil. Once coated with oil, sprinkle on the spice mix to taste (I used 3 tsp.). Place the seasoned chickpeas on a lined cookie sheet (I used a Silpat) and put the sheet in the oven for 40-60 minutes. Carefully watch the chickpeas at the end as they can quickly burn. Once done, the chickpeas will be browned and crunchy. 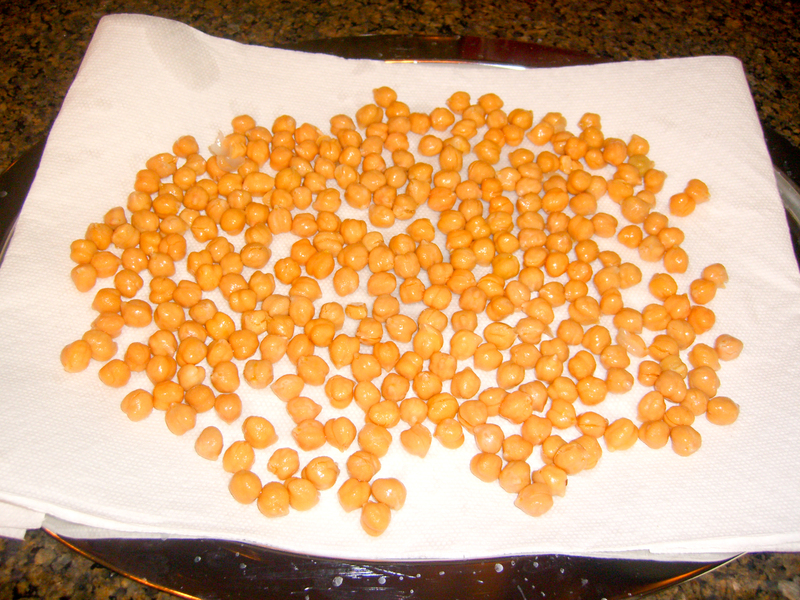 As the chickpeas cool they will become even crunchier. Hi Gret – I’m a friend of your Mom’s from her Cumberland days. Where do you get your coconut sugar? 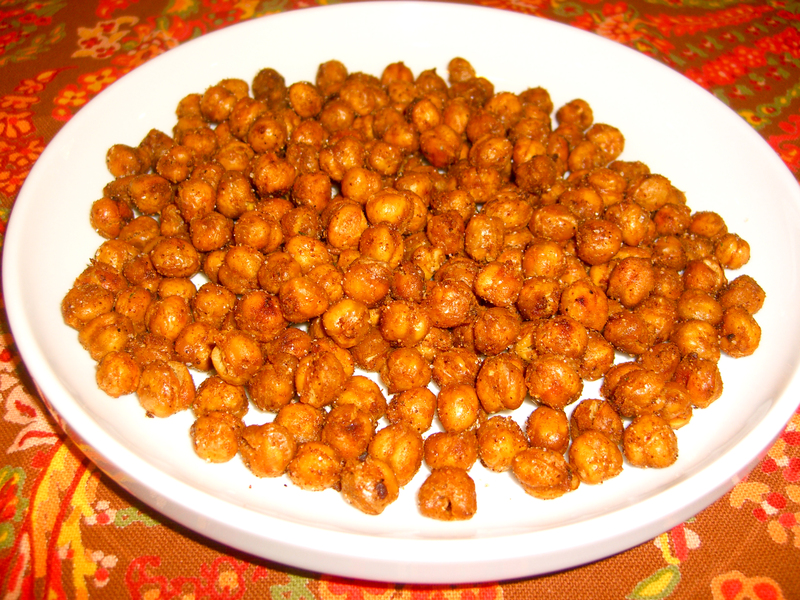 I absolutely love baked chickpeas (okay, well.. honestly, chickpea anything, ha)! I will definitely have to try this recipe. Thank you! These look like the perfect snack for when I’m studying. 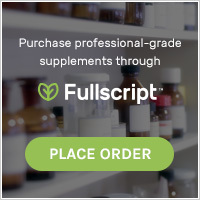 Is it ok to use normal sugar in lieu of coconut sugar? I’ve never tried it before! You could totally use regular sugar in this recipe. I use coconut sugar because it is lower in the glycemic index and a bit healthier. Enjoy! Fabulous recipe- planning to make it this weekend…Yum!